New Delhi, March 20: Ruling himself out of the prime ministerial race, union minister and senior Bharatiya Janata Party (BJP) leader Nitin Gadkari has said there is no group in the party which hopes to replace Prime Minister Narendra Modi after the 2019 Lok Sabha elections. Nitin Gadkari made it clear that reports suggesting his emergence as a strong alternative of PM Modi if the BJP falls short of a majority were mere speculations in media circles. “There is no such thing. Those who want to write will write," Gadkari told TOI in response to a question that he is among few BJP leaders who can work with allies and are close to the Rashtriya Swayamsevak Sangh (RSS). "I don’t do such calculations or have any such expectations. I am a worker of the party. I am sure that the work done under PM Narendra Modi will result in a full majority. So no such situation is going to happen," the union minister said. 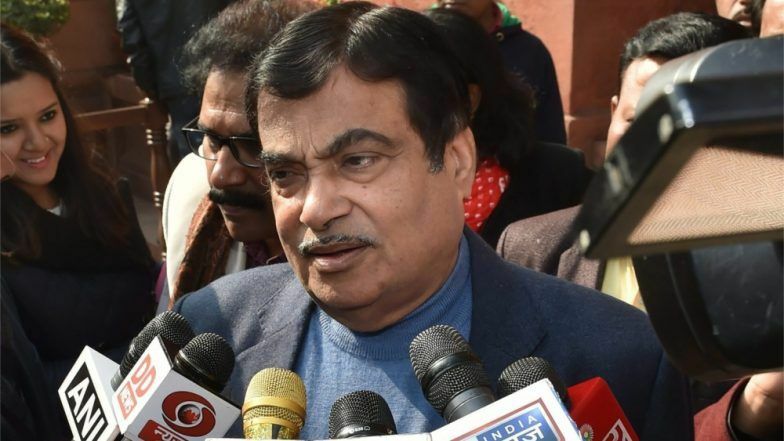 Nitin Gadkari Rules Himself Out of Prime Ministerial Race in Lok Sabha Elections 2019. In recent months, Gadkari has made several remarks that were apparently critical of PM Modi. However, the BJP MP said the Modi government's development works would enthuse voters to give the BJP a second consecutive term. In January, Gadkari in Mumbai had said: "political leaders, who do not fulfil the dreams they peddle, will get thrashed by people". He further said that he was not among those who only show dreams. Sharad Pawar ‘Worried’ For Nitin Gadkari as an Alternative to PM Narendra Modi. In December last year, he remarked that the leadership should own up to failures in the backdrop of BJP's defeat in the assembly elections in Rajasthan, Chhattisgarh and Madhya Pradesh. However, the BJP had sought to play down Gadkari's comments saying they were twisted and political benefits were being sought out of it. Speaking on contentious Babri Masjid-Ram Janmbhoomi land dispute in Ayodhya, Nitin Gadkari said the Modi government had limited options before itself. It was either negotiation, a court verdict or legislation. Suggesting that a mosque can be built outside the Panchkosi Parikrama, Gadkari said court-mandated negotiations were underway and hopefully Muslims would agree to a resolution.